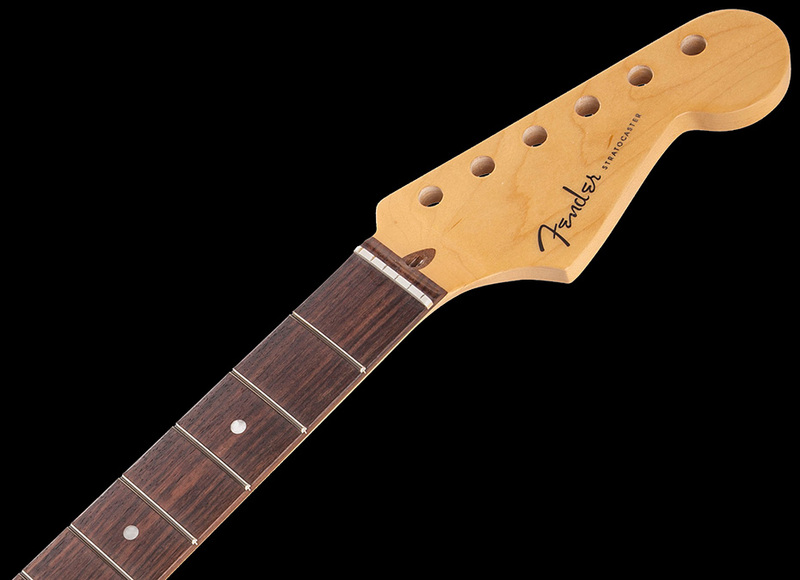 099-9000-921 Fender USA Strat Neck 22 Medium Jumbo Frets Rosewood Fingerboard Compound Radius 9.5" - 14"
22 Medium Jumbo Frets, Rosewood Fingerboard, Compound Radius 9.5" to 14"
Genuine U.S.-made Fender Stratocaster® guitar maple neck. Features include a comfortable “modern C” profile and 9.5”-14" compound radius rosewood fingerboard with 22 medium jumbo frets and rolled edges, Bi-Flex™ truss rod, pre-slotted synthetic bone nut and a tinted satin urethane back and gloss headstock face. String tree is not included and its mounting hole will need to be drilled. Note: Neck is pre-drilled with five holes to accommodate either a traditional 4-bolt neck mounting design OR an offset (asymmetrical) 4-bolt design. 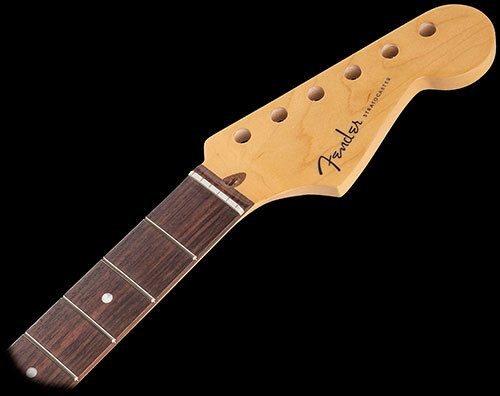 Neck is compatible with American Deluxe, American Standard and most Mexico Standard bodies.